Nick Hayek’s provocations of Apple are looking increasingly sad as Swatch fails to ship or even demonstrate the product it’s been talking about for months. In the absence of an actual smartwatch to show off, Swatch CEO Nick Hayek keeps dialing up the anti-Apple rhetoric. “The Apple watch is an interesting toy, but not a revolution,” Hayek told Swiss newspaper Tages Anzeiger, as translated by The Guardian. Hayek then lamented how most smartwatches must be recharged every night, while promising that Swatch’s eventual smartwatch will include a battery that lasts nine months. Swatch has yet to demonstrate the supposedly revolutionary smartwatch in question, which has been delayed numerous times. 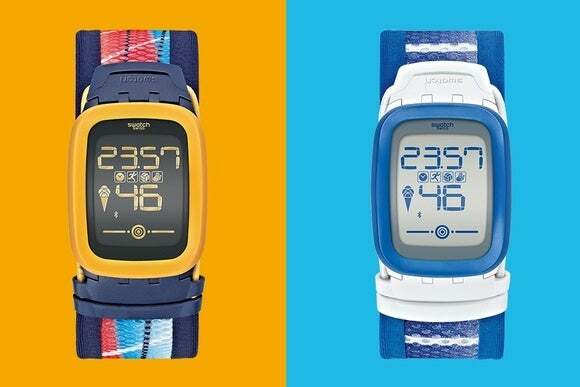 In February, Hayek said Swatch’s answer to the Apple Watch would arrive within a few months, but instead the company merely released a fitness-tracking watch for beach volleyball players (which, by the way, allows users to sync their workout data to the cloud). In May, Hayek then promised a more advanced watch with NFC-based mobile payments due to launch by August. Hayek now says this watch will arrive some time later this year. In the meantime, Swatch is trying to agitate Apple will trademarks instead of competition. The company successfully trademarked “One More Thing” with the World Intellectual Property Organization last May, and has filed to trademark “Tick Different,” a knock on Apple’s old “Think Different” ad campaign. Why this matters: While it’s not surprising to see yet another company painting Apple as a target, Hayek’s schtick is worth highlighting as an especially sad example. It’s one thing to bash Apple while promoting an alternative product, but in this case Swatch doesn’t have anything to offer but months of empty promises. How much longer can Swatch keep this up and continue to be taken seriously?